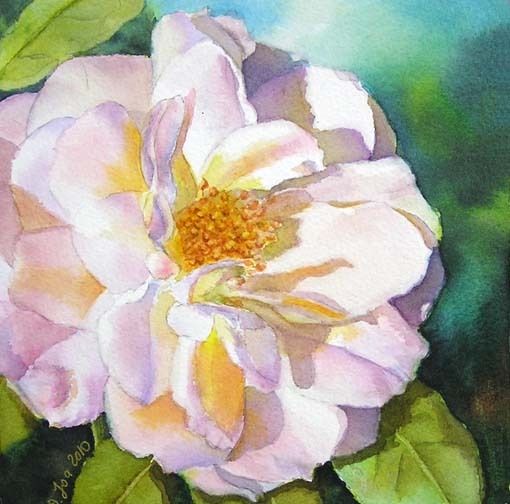 And here is another small watercolor rose painting. This beautiful white pink rose is another one from my garden. The real name of the rose is “Lions Rose” and I wanted to portrait the feeling of a happy sunny day. Size of the Painting is 6″x6″.